After 40 years as a player and coach in the Braves organization, Brian Snitker has been named the franchise’s 14th full-time manager since moving to Atlanta. Snitker's contract runs through the 2017 season with a club option for 2018. Snitker stepped in as the team’s interim manager on May 17 following the firing of Fredi Gonzalez and was once considered a long shot to claim the full-time job, but following Atlanta’s strong second half, including an 18-10 record after August, the organization staple rocketed to the top of the front office’s list of candidates. The Braves interviewed former MLB managers Bud Black and Ron Washington for the position along with three additional internal candidates — Terry Pendleton, Eddie Perez and Bo Porter — before electing to keep the season-ending winning formula in place. The team also announced its new coaching staff, headlined by new pitching coach Chuck Hernandez and Washington at third base. Those roles were left vacant when the team did not exercise its 2017 option on former pitching coach Roger McDowell and as Porter steps into a role as special assistant to the general manager. The rest of the staff — Pendleton, Perez, hitting coach Kevin Seitzer, assistant hitting coach Jose Castro and bullpen coach Marty Reed — returns intact. Despite Washington, who managed the Texas Rangers to two straight World Series and adds substantial experience to Atlanta's coaching staff, moving from his position as third-base coach in Oakland to Atlanta, Hernandez is the most intriguing element on Snitker's new staff. After moving on from the highly successful McDowell, whose pitchers posted the fourth-best ERA in baseball during his tenure, Hernandez has big shoes to fill. The 55-year-old served as the organization's roving minor-league instructor in 2016, overseeing the lifeblood of the organization's rebuild. Hernandez previously served as the pitching coach for the Miami Marlins from 2013 to 2015, helping to groom the likes of baseball's preeminent young ace: the late, great Jose Fernandez. The Marlins posted their two best single-season ERA marks in franchise history under Hernandez's guidance. He's also worked as the bullpen coach for the Indians, pitching coach for the Tigers (coaching another young ace in Justin Verlander) and the Rays. Multiple Braves players endorsed Snitker down the stretch — a factor Coppolella and president of baseball operations John Hart did not dismiss during their exit interviews. Snitker’s experience in working with young players likely paid dividends for him during the hiring process. 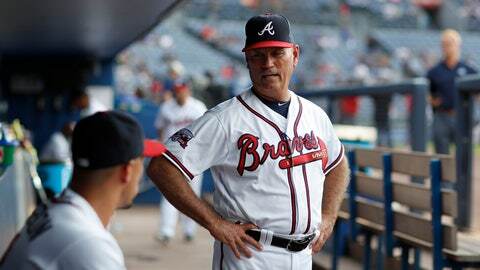 The 60-year-old manager has helped groom Braves stars for decades, from Tom Glavine to Rafael Furcal to Dansby Swanson, as a coach and manager at both the minor- and major-league levels. Given the franchise’s youth movement and his track record in helping mold young talent, it’s not particularly surprising the team entrusted him with its next step. “We want a manager that understands what it is that we’re doing with our young players, that’s going to have the ability to break in young players as we go through really the next – it started this year, but, you know, you look at next year a little more. And then come ’18 and ’19 and ’20 here comes a lot of young players,” Hart said. “We want manager that’s going to have the ability to do that as well as handle a veteran player. Snitker becomes just the third Braves manager since Hall of Fame skipper Bobby Cox returned to the dugout full-time in 1991.